This past Sunday I headed out to Dillon Nature Center in Hutchinson, Kansas, to take photos of cicadas for a big honkin' post on the little guys. 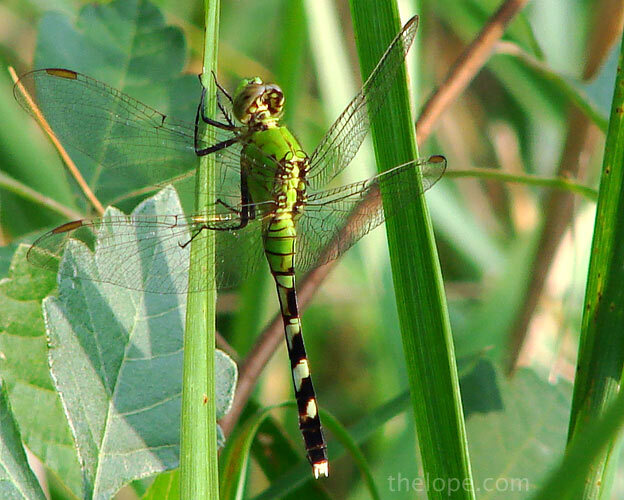 I didn't find any, but I did run across a lot of other nifty plants, insects and other critters, like this Eastern Pondhawk (Erythemis simplicicollis) dragonfly. A common thistle (Cirsium vulgare) decorates the path south of the large pond. 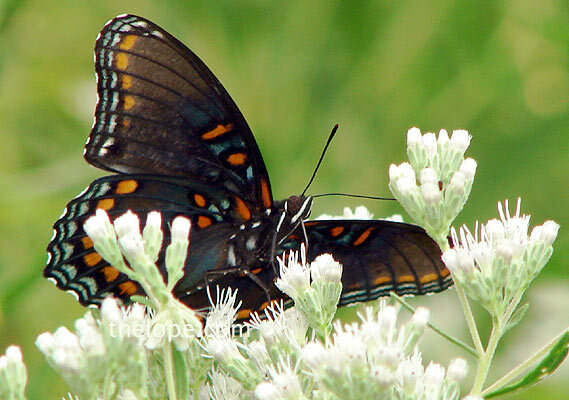 The thistle is purported to have medicinal qualities. 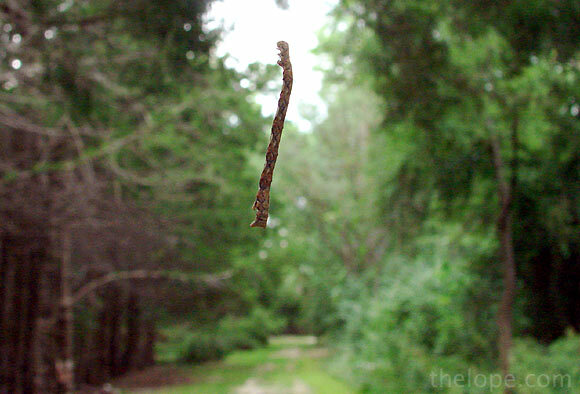 This long narrow worm hung from a thread attached to a tree branch that was at least ten feet above. I presume it's the larval stage of something. There is a sliver of restored prairie at the northern tip of the triangular nature center grounds. I headed there to seek grassland cicadas. 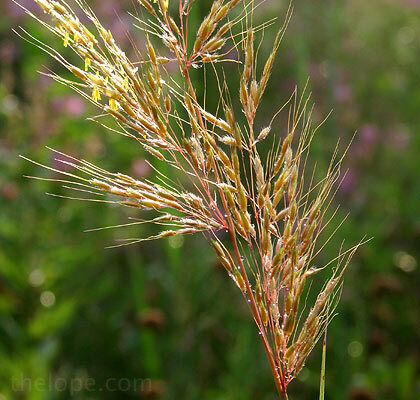 Again, I had no luck in that respect, but the prairie has a seductive charm. 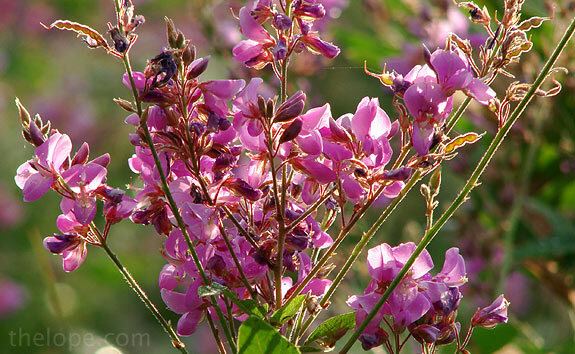 Most of the purple comes from tick clover (Desmodium sessilifolium). 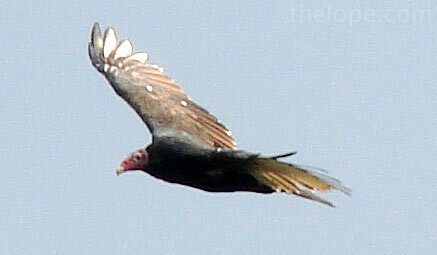 Turkey vultures (Cathartes aura) wheeled and soared overhead. According to Cornell University, the turkey vulture has a larger part of its brain dedicated to the sense of smell than most birds and has a habit of defecating on its own legs in order to cool them by evaporation. Please don't try that at home. 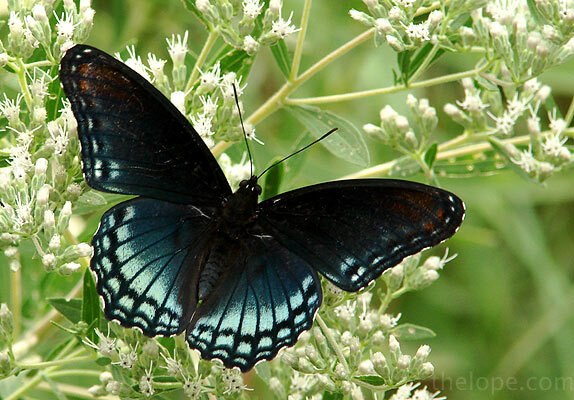 Nearer the ground, I found the red spotted purple swallowtail butterfly (Limenitis arthemis astyanax). I don't know what this is, but there is a lot of it. I hope to add identification soon. While I didn't find cicadas, their nemesis was apparent. 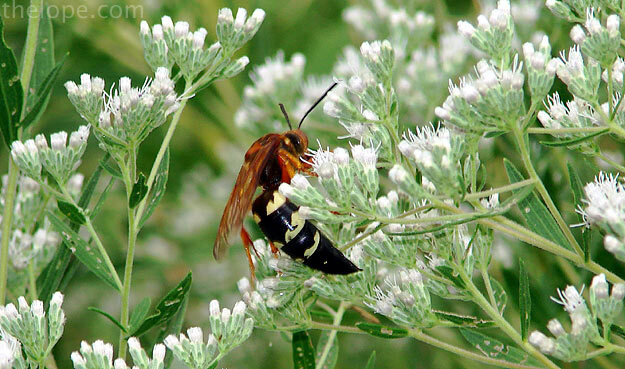 This is a cicada killer wasp. Harmless to humans unless you pretty much stick yourselves with their sting, they attack cicadas in order to lay eggs in their paralyzed bodies. 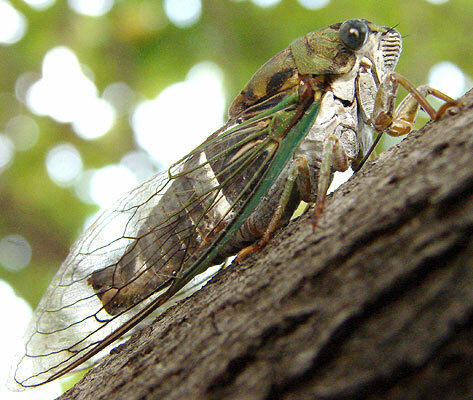 You can pretty well imagine what happens to the cicada when the eggs hatch. Yeah - eaten alive. 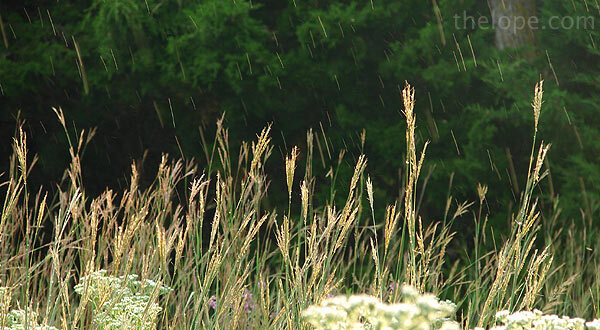 It began to rain - a slow, gentle rain of the type that caresses plants rather than attacks them. 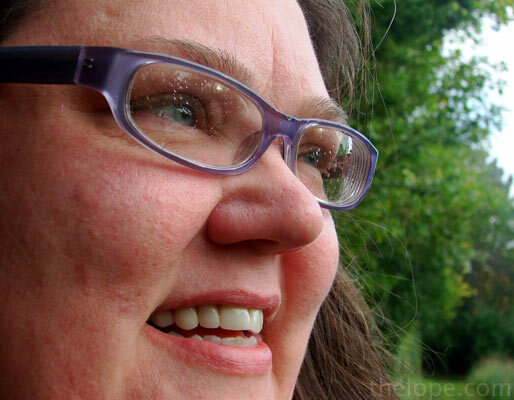 I stood under the canopy of a tree and had a singularly beautiful moment. The dragonfly at top flittered just over the top of my head and then it was utterly quiet except for the rain on the prairie - no cars, no trains - nothing but rain, distant thunder, rustling plants and the flitting of wings. For that moment, I felt sorry for anyone who wasn't me. I called my friend Patsy and told her about the rain. True to her nature, she knew something cool when she heard about it and rushed out to stand there with me. See her story about the day, here. 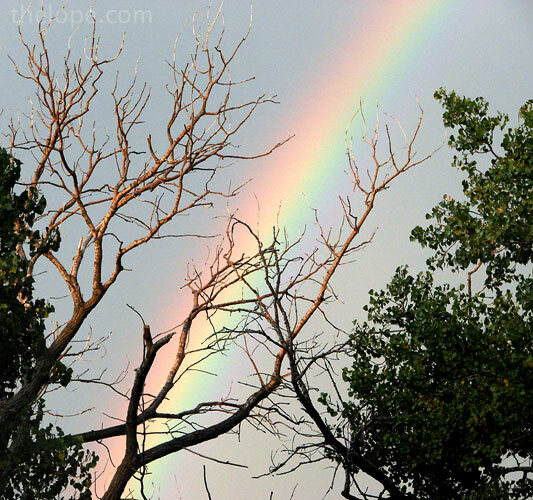 It's been a good summer for rainbows, and this was no exception. The rain was over, but I could get in a few more shots before the place closed. I spotted what looked like a hummingbird. 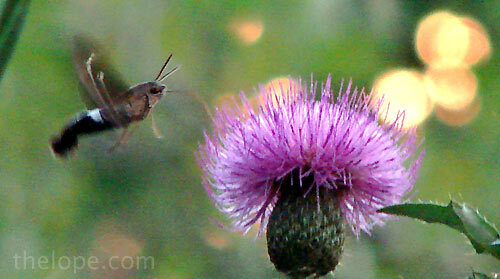 Often mistaken for a hummingbird, the hummingbird moth has similar habits due to convergent evolution. 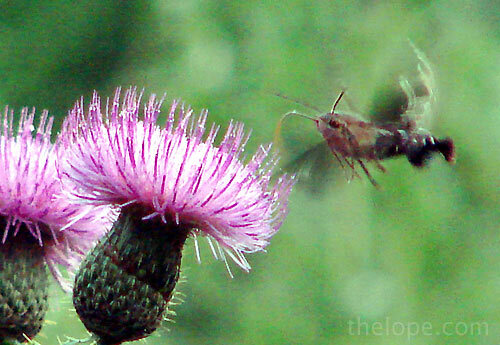 Above and below, it feeds on a thistle's nectar with its long proboscis. 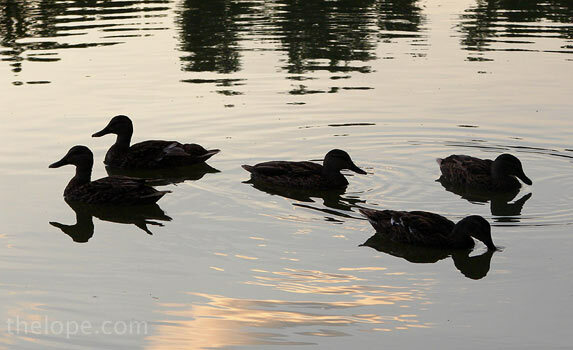 It was time to go (gates closed at 8PM) but on the way to the parking lot I shot these ever-present ducks. Welcome October, Sharp and Fall Cleaning 2007. 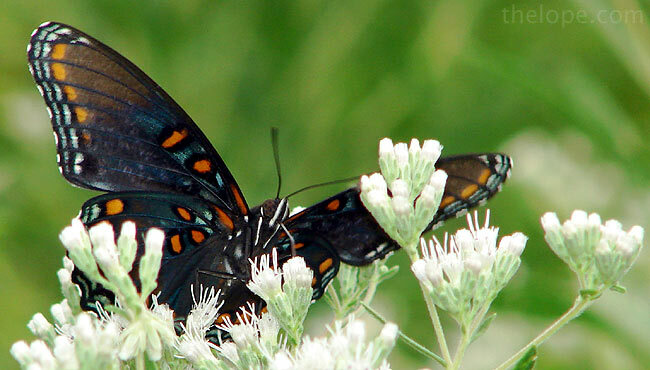 My thanks go to Mary Clark and Brian Stucky for helping with identifications.